Our expertise is often sought by leading national media publications for bylined articles and to provide background and color to industry news. August 15, 2012 – By Mindy Diamond, WealthManagement.com – Irish novelist and poet James Joyce once said, “A man’s error’s are his portals of discovery.” While I agree with Joyce in concept, in reality, we all want to make as few mistakes as possible – particularly as they relate to our careers. Especially during this time of uncertainty, with many firms imploding and others consolidating, it has become even more important for advisors to carefully consider career moves. Fortunately, with enough knowledge and counsel, there are ways to navigate the career path minefield and learn from the mistakes and missteps of those who have gone before us. Sometimes, though, that’s easier said than done. June 13, 2012 – By Mindy Diamond, WealthManagement.com – In the eight years since it was written, 801 firms have signed onto the so-called broker protocol, which defines what kind of client information a departing broker can take with him to a new firm. That, in turn, determines the ease with which an advisor can take his clients, and their accounts, to the new joint. Advisors are allowed to take client names, addresses, phone/fax numbers, email addresses and account names; they can’t take tax ID or social security numbers, client statements, account numbers, or any other financial documentation pertaining to the clients.And they can’t let their clients know about the move or solicit them before they make the switch. May 7, 2012 – By Mindy Diamond, WealthManagement.com – In March, Peter Sargent stunned the wirehouse community by leaving Merrill Lynch to launch Sargent Wealth Management at the Philadelphia, Pa.-based regional firm Janney Montgomery Scott. Sargent, who is 42, worked at Merrill for two decades, and had just begun in January a term as Chairman of Merrill’s esteemed national Advisory Council to Management (ACTM), which advises Merrill management on advisory issues. His career has so far been littered with accomplishments. During his years at Merrill, he was frequently named to Barron’s Top 1,000 financial advisors; in 2006 at the age of 38, he was named among the “Top 40 Advisors Under 40″; and he has often been interviewed by national media outlets for his financial acumen. 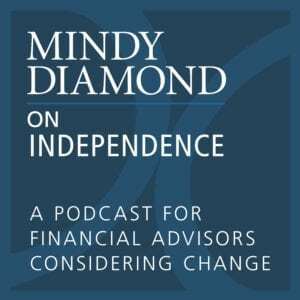 April 1, 2012 – By Mindy Diamond, WealthManagement.com – Mitch, a 25-year wirehouse veteran with $500 million in client assets in the Midwest, began considering his options for a move in 2008. He was tired of the bad press about his firm and other wirehouses and decided he was financially prepared to forgo a 300 percent incentive check; he liked the idea of independence. On his own, Mitch began doing due diligence with several custodians to explore partnering with one of their existing RIAs. He had no interest in being distracted from his clients to set up his own firm; he wanted to stay focused on growth. But because of differences over economics, infrastructure, culture, or business mix, none of the firms he talked to seemed the right fit. He also realized he preferred to create his own brand. He then started talking about creating his own firm, but outsourcing the back- and middle- office work like technology, compliance and other operational functions to a third-party platform or service provider. March 1, 2012 – By Mindy Diamond, WealthManagement.com – James and Nancy, a wirehouse team in a southeastern city, began looking around for new digs in 2008 but it took them a few years to make the leap. James and Nancy had been at a regional firm that was ultimately acquired by their wirehouse in the early part of the decade. Together, James and Nancy generate around $1 million in annual production. While they never would have chosen to move to a wirehouse on their own, given their aversion to additional layers of management and red tape, they tried to make it work at first. February 1, 2012 – By Mindy Diamond, WealthManagement.com – Sometimes financial advisors leave their firms over a series of minor events that accumulate over time. Firms might benefit from making little moves that keep their best producers happy and eliminate such headaches. 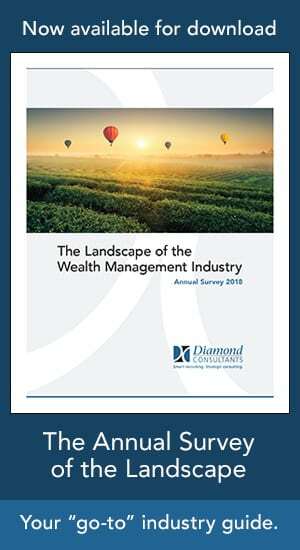 December 31, 2011 – By Mindy Diamond, WealthManagement.com – So many financial advisors aspire to work with ultra-high-net-worth clients, you would think more of them would find their way to the rarified private wealth management or private banking divisions of the big Wall Street firms. But relatively few advisors occupy this space — even though many qualify based on the assets they manage and the kinds of clients they already work with. For the majority of advisors who don’t reside in big money-center cities, are looking to work for a well known firm and want upfront money, today’s wirehouses offer a good alternative. February 24, 2011 – Mindy Diamond Quoted – By Elizabeth MacBride, Forbes – A seven-person advisory team managing $550 million broke away from Merrill Lynch in Portland, Maine, to join HighTower Advisors on Friday. The team, Simmons Wilkes Investment Advisors, extends HighTower’s reach to the largest city Down East. The advisors declined to be interviewed. HighTower says they are too busy setting up shop to take phone calls.